Ever snapped a photo with your smartphone and it wasn't quite good enough? While our cameras have been improving the overall image quality sometimes still isn't up to par. 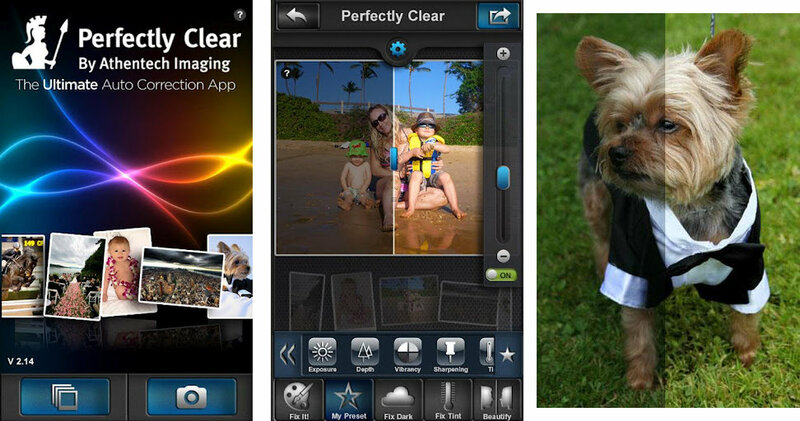 Today we have a brand new app called Perfectly Clear that has just launched for Android — that aims to solve this problem. Perfectly Clear automatically applies 10 patented intelligent corrections in a few seconds to make almost every photo worth keeping. No this isn't Instagram you won’t be applying filters that makes your images look all wonky. Instead the app offers 10 preset or custom filters that will correct all sorts of mistakes and image quality issues in photos. From poor lighting, over exposed shots, loss of detail and tons of other things. These patented correction filters work wonders. Digital cameras cannot reproduce colors the way the human eye sees them. The array of colors that you see through your eyes is completely different from digital cameras. Perfectly Clear has the technology to adjust and align the color spectrum. With this technology, Perfectly Clear can reproduce perfect colors in your captured photos. Is Perfectly Clear app living up to your expectations of a high-def camera app for Android? Share your thoughts in the comments section.